Departures: As requested from September through April. Price: 2 to 3 passengers $3,757 p/person Double Occupancy. 4 to 6 passengers $3,289 p/person Double Occupancy. Visit enchanting Bariloche & the Lakes Region of Argentina. 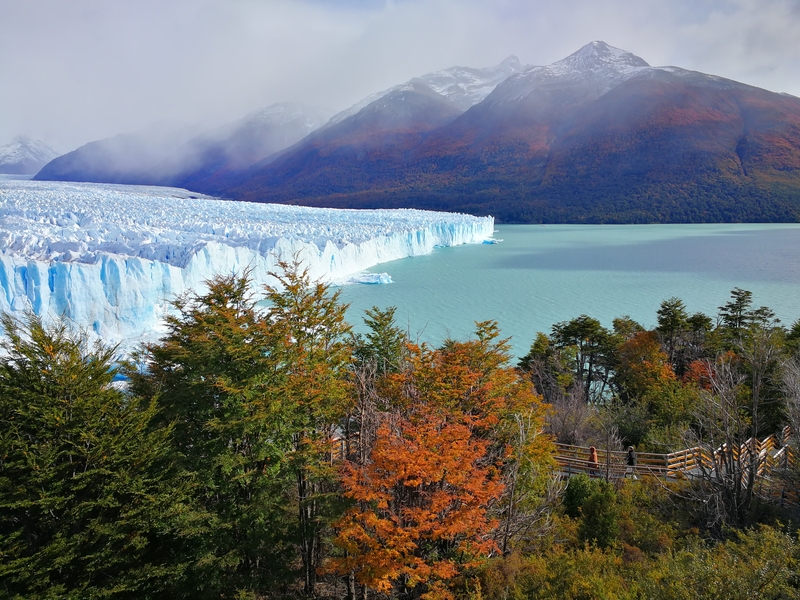 Explore Los Glaciares National Park and trek on The Perito Moreno Glacier. Discover the End of the World: Ushuaia, Tierra del Fuego. Welcome at the airport and transfer to your hotel. In the afternoon you will enjoy a private tour visiting four distinct neighborhoods and plazas of Buenos Aires (Plaza de Mayo, Parque Lezama and La Boca, Plaza San Martin and Recoleta) to learn about the city and its people, commonly called “porteños”. Lodging for two nights in Buenos Aires at Hotel Intersur Recoleta or similar. Accommodation for ten nights at first rate hotels. Bilingual expert guides for all excursions, most transfers and local assistance. All breakfasts (B), 2 lunches(L) and 2 dinners (D) as mentioned in the itinerary. Private excursions as detailed in the itinerary. Boat excursion on Nahuel Huapi Lake, Trekking excursion on the glacier and visit to Estancia are shared with other passengers. NOTE: The ice trekking “Minitrekking excursion” has an age limit of 65. If we replace that excursion with a boat excursion the tour cost will be $140 lower per person. Entrance fees to parks and reserves. 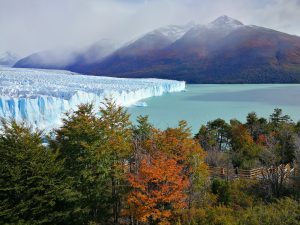 Flights in Argentina (Buenos Aires/Bariloche/El Calafate/Ushuaia/Buenos Aires). Cost will be about $1,000 in economy. Drinks during meals. Other meals and services not mentioned in itinerary. Please, contact us for more detailed information about ANTARCTICA & AUSTRALIS cruise itineraries and costs. NOTE: $150 TOUR DISCOUNT if you sign up for this tour and a cruise to Antarctica or Australis cruise.